In the next couple of months I am going to work my way through a number of 5" random orbit sanders in preparation for an upcoming "Best Of" article. 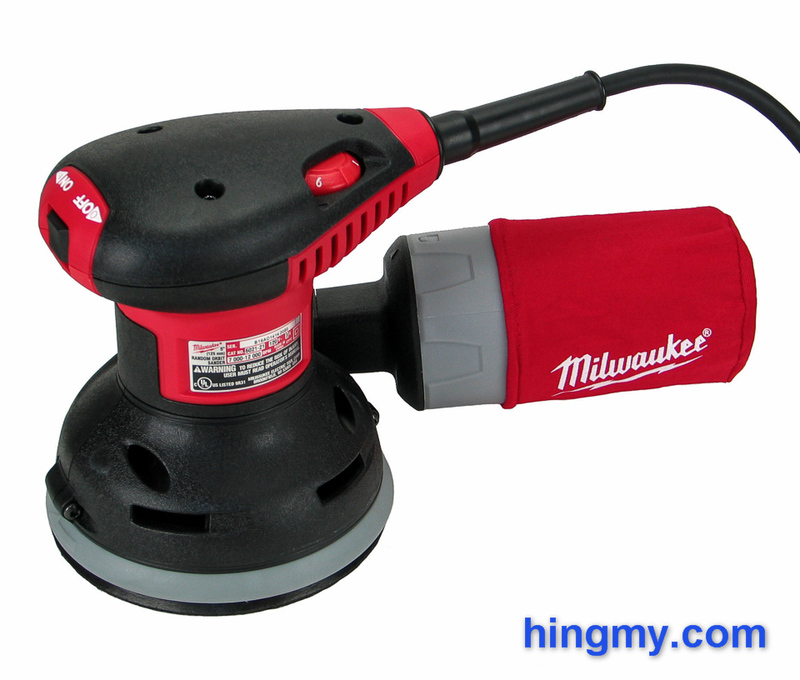 This week it is the Milwaukee 6021-21 random orbit sander's turn in the Hingmy workshop. 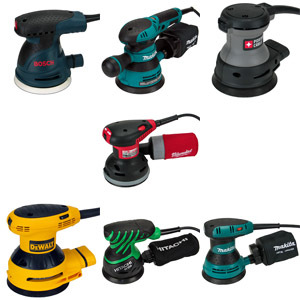 Its specs and online reviews promise it to be a lot of sander for the money. Let's take a look, if the the 6021 deservers its reputation, or if it is just another attractive option that falls flat in the workshop. 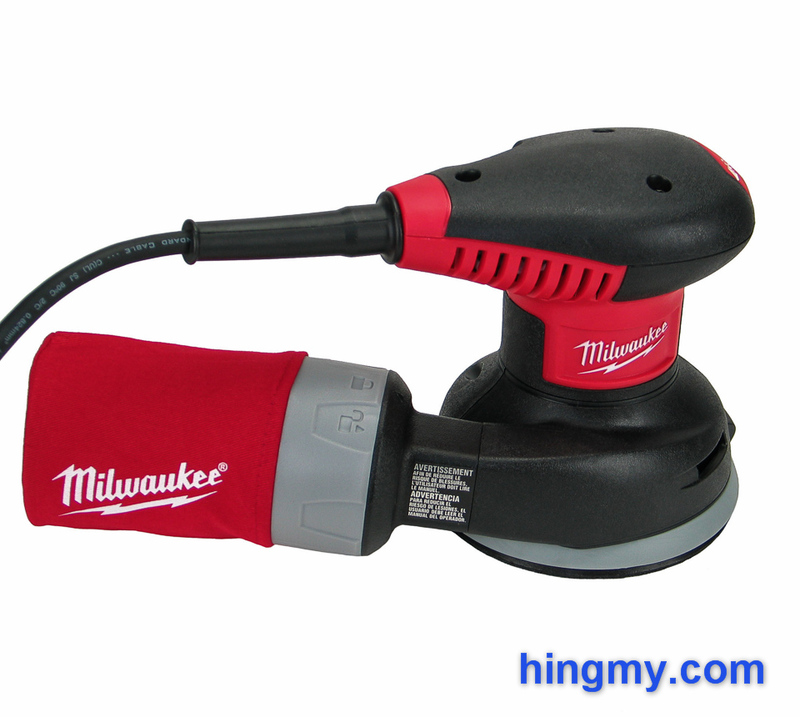 The 6021 is a general purpose 5" random orbit sander from Milwaukee. 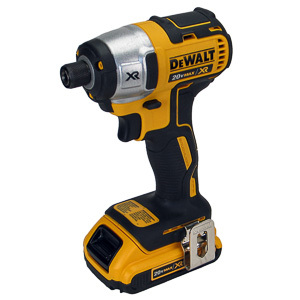 Engineered to reach a specific price point it lacks a few industrial-level features, but manages to impress with its excellent build quality and imaginative design. 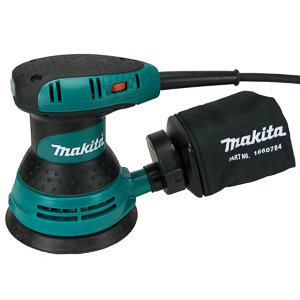 The 5" sanding disk is of the 8-hole, hook&loop variety. Replacement pads are available should the one in the kit wear out. 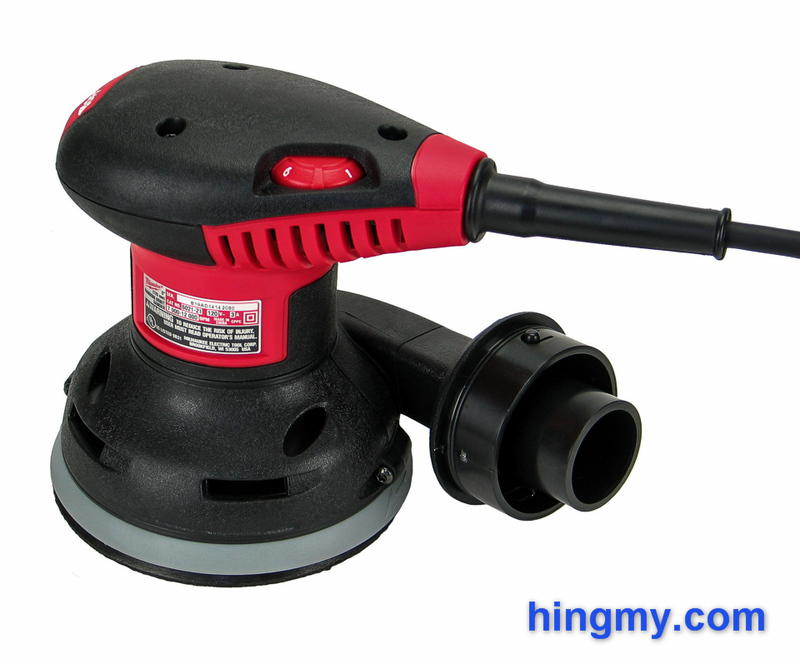 The red, hard plastic shell of the sander is liberally covered by thick, black rubber. The top of the sander functions as the sander's one and only grip. The contours of the body do not welcome the operator's hand, which is in stark contrast to the competition. 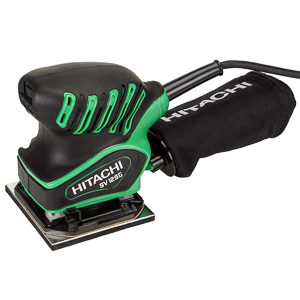 This is not the sander for you, if you like to wrap a hand around your sander. Like any good tool the 6021-21 produces results effortlessly without ever reaching the user's stream of consciousness. 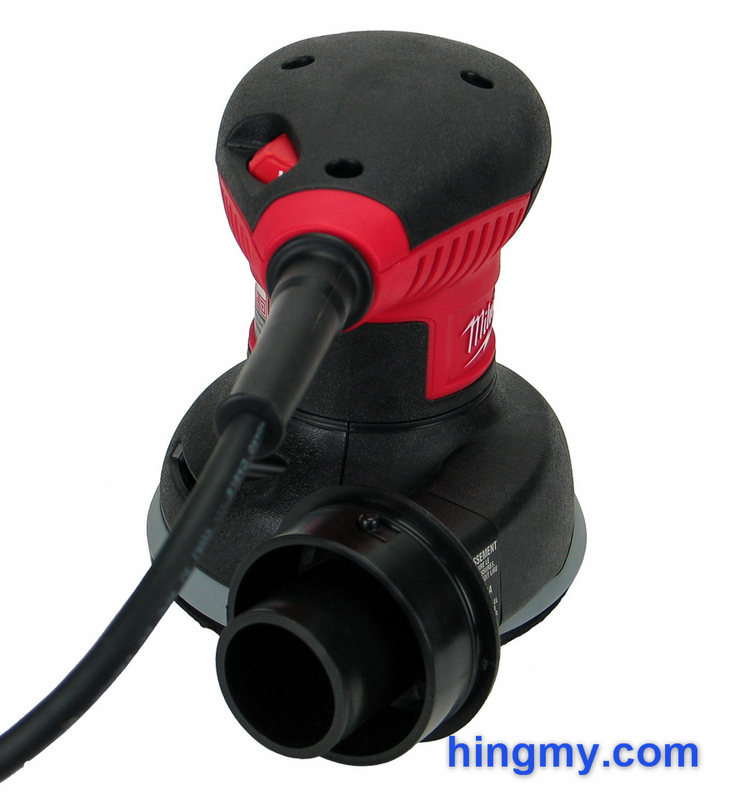 The power switch in the nose of the sander is protected from dust by a hard-wearing rubber membrane. It functions well enough, but could provide a little more feedback when actuated. 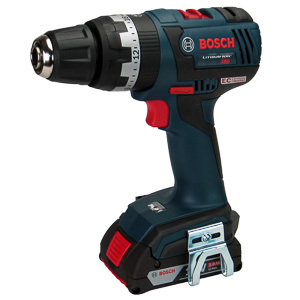 Motor speed is controlled with a thumb-wheel in the rear of the handle. Individual stops filling the gaps between the larger settings provide a gradual, albeit not continuous, level of control. Motor power drops as the speed decreases, but remains well matched with the common tasks at any given rpm level. The sander's 8 ft power cord is a little on the short side. It is made of rubber, wears hard, and lies flat. The anti-theft device attached to one end is an annoyance Milwaukee inflicts on its law abiding customers. A grey rubber skirt just above the sanding disk ensures the sander does not mark any vertical service it comes into contact with. The skirt deforms as it makes contact, which provides tactile feedback to the user. The skirt sets the 6021 apart form the competition. 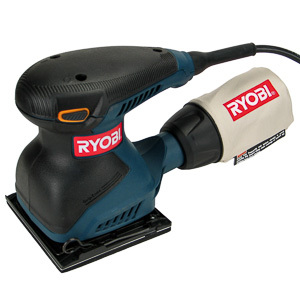 This sander is one of the best for sanding along an interior edge. The dust collection system of the 6021 is well thought out, but ultimately limited by the cloth filter it employs. The sander uses cyclonic motion to funnel dust particles to the dust port mounted inline with the motion of the particles. This works exceedingly well. The 6021 seems to pick up particles more easily than most of the competition. Once the dust makes its way into the cloth filter problems start happening. Right from the start the bag's ability to filter super-fine dust, the most dangerous kind, is questionable at best. Heavy users can't run the 6021 in this configuration without wearing a dust mask. The bag's coarse grain dust collection efficiency is near 100% when empty, but quickly drops as it fills up. 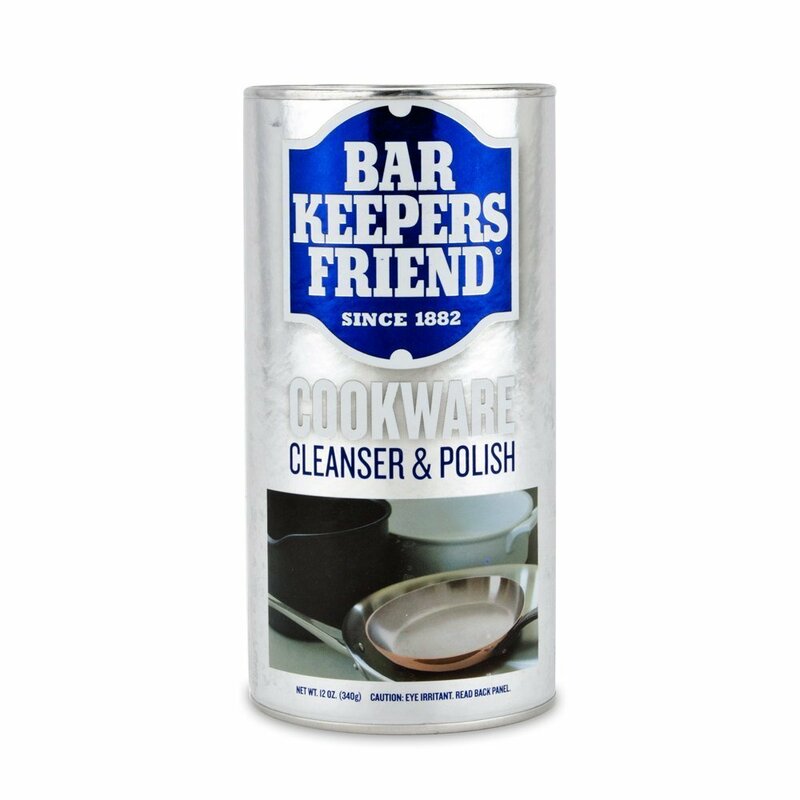 You'll have 5-10 minutes of unencumbered sanding until it is time to empty the bag. A nearly effortless 20 degree turn is all it takes to disconnect the bag from the dust port. This is another thing the 6021 does better than the competition. Proper dust collection efficiency can only be achieved by connecting a dust collector to the dust port of the 6021. 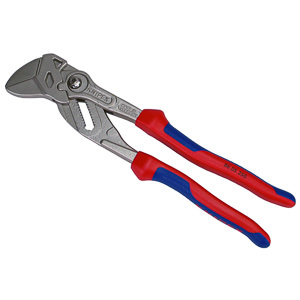 A multi-diameter fitting offers compatibility with a wide range of hose diameters. 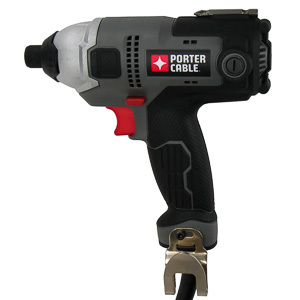 The rigid construction of the dust port ensures good handling while dragging the hose. The off-center nature of the port, however, noticeably pulls your hand to one side. Dust collection efficiency reaches perfect levels in this configuration. The 6021 performs very well in the woodshop. 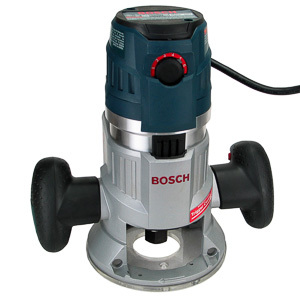 The powerful motor, high top speed, and well-chosen orbit diameter make short work of generic sanding tasks. The soft start and good dust port design add an effortless feel to the mix. Most of the time the 6021 will simply do the work without ever reaching your stream of thought. It simply produces results without slowing you down, or being annoying in any way. The soft start feature and motor brake are a welcome addition. Most of the time you can lift the sander off the work piece without having to worry about the sanding disk speeding up and burning the work piece when you set the sander down again. Surface quality is flawless, if you work your way through the grits. When using the proper technique you can produce a scratch-free, finish-ready surface with 3 different grits of sand paper. 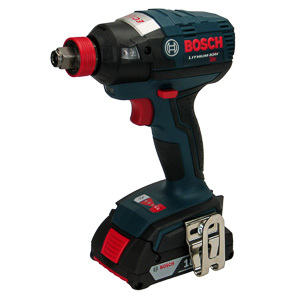 Thanks to its good motor specs the 6021 performs well as a rapid stock removal tool, but comes in well behind belt sanders and larger random orbit sanders, which are better suited for the job. The sander vibrates a little during operation. A couple of hours working with the 6021 won't hurt you, but a full day will make your arm tingle when you go to bed. Heavy users should skip the 6021 and go for a larger model that is rated for limited vibrations. Durability of the 6021 is excellent. In our two hour torture test the sander showed no signs of premature wear. As is common with sanders of this size, the top of the 6021 got warm to the touch, but stayed at that temperature throughout the test. 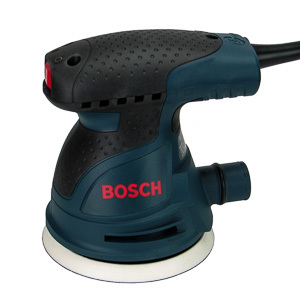 This sander will perform well in a commercial shop, even when used for the better part of a workday. Reaching Milwaukee Tool's 5 year warranty in such an environment is a tall order, but you'll undoubtedly get your money's worth out of the 6021 before its bearings wear out. The kit comes with a durable, vacuum formed, double-wall case. Stored inside the sander is perfectly protected from mechanical impact. While technically not waterproof, the case will keep rain out for a while. The plastic hinges in the rear, and the metal clasp on the front of the case give it the durability necessary to endure the harsh treatment that comes with moving from job to job. 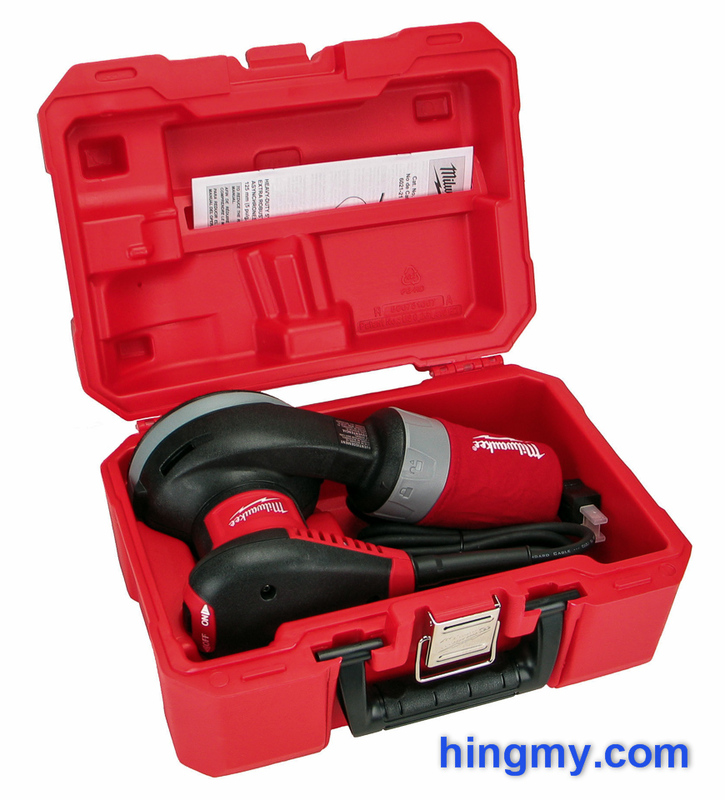 Any accessories you put in the case share a compartment with the sander. Square sides allow the case to be stacked on top of other tool cases, but it is not a part of a system like the cases of some of the competition are. The recess to store the anti-theft mechanism on the cord is idiocy on display. 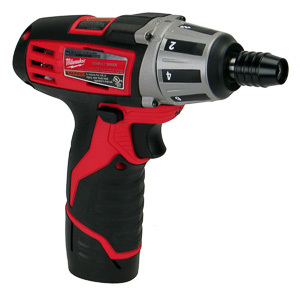 The Milwaukee 6021 is one of the better built 5" random orbit sanders on the market. 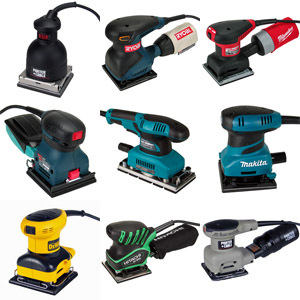 Its powerful motor, soft start feature, motor brake, and the skirt around the sanding pad allow it to produce results without ever performing below expectations. The dust bag is well engineered, but ultimately limited by its questionable filter efficiency. 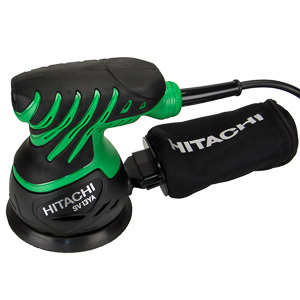 The 6021 sits at the pinnacle of a price band in the 5" random orbit sander world. If you want to do better, you'll have to pay more than twice as much. 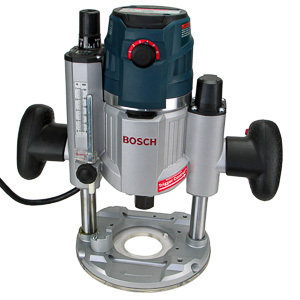 As such the 6021 represents the best value for money for many hobby woodworkers and some contractors. Only the most demanding users need to look at the more capable options.